Yarn Type A DK weight in soft 100% pure cotton. 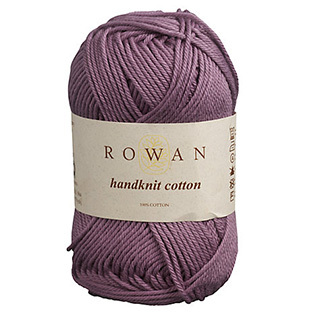 Rowan Selects brochures are FREE with the purchase of Kaffes Cotton Colours yarn, or Handknit DK Cotton. This collection of 9 homeware pieces is designed by Lisa Richardson in Handknit Cotton and Creative Linen. Featuring both knit and crochet pieces these modern designs offer something for crafters of all skill levels. Knit this open sided sweater in Handknit Cotton. 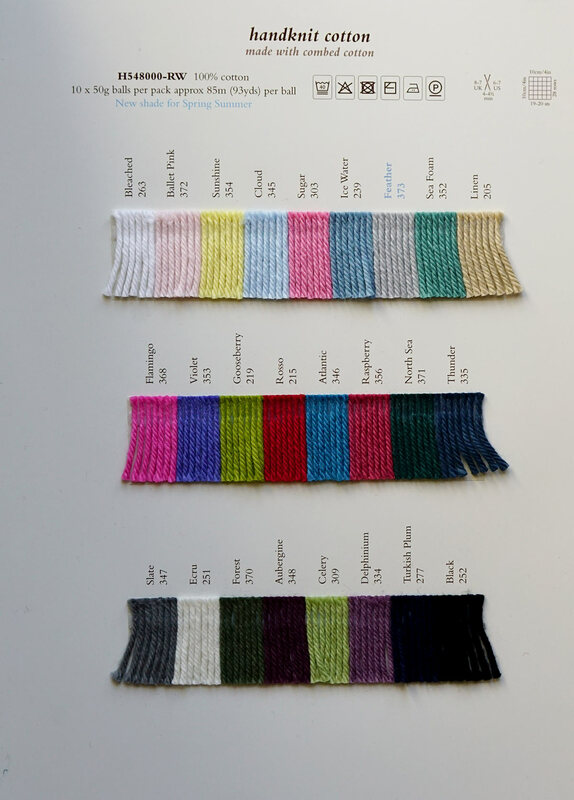 Designed by Sarah Hatton is featured simple textured bands and a three needle cast off feature, it would be suitable for a knitter with a little experience.